This is a new improved version 2.0! 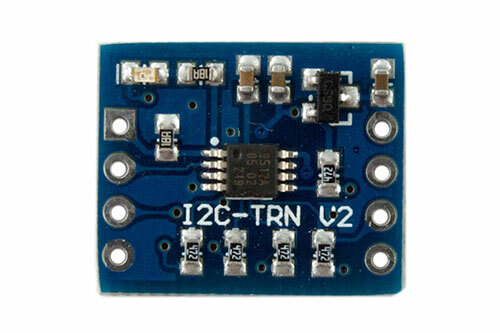 The I2C-TRN-V2 board is an 8-pin CMOS device that translates voltage level. It allows bidirectional voltage translation between 3.3V and 5V, without the use of a direction pin. The low ON-state resistance of the switch allows connections to be made with minimal propagation delay. There are no external components required. This makes it perfect for embedded systems that require voltage translation between the master and slave. 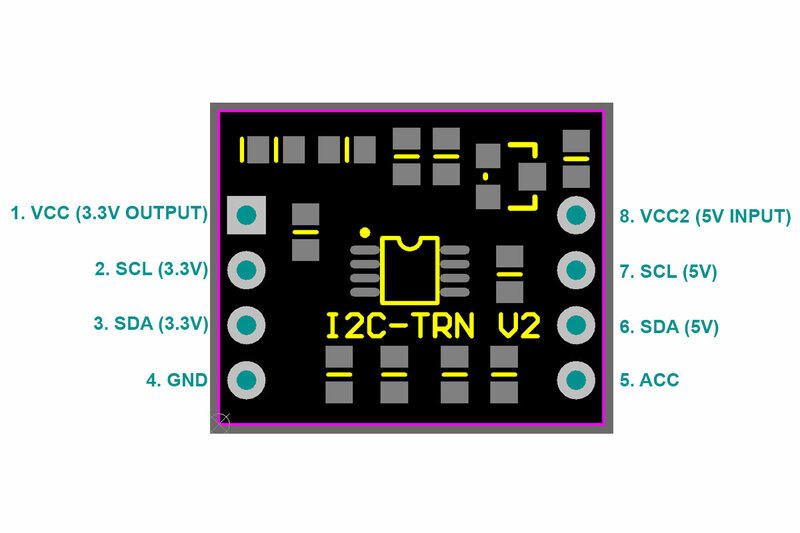 This I2C-TRN-V2 designed ready for bidirectional 5V <=> 3.3V translator. It allows 5V system to communicate I2C protocol to 3.3V device without having external 3.3V supply. It is ready to use off-the-shelf. 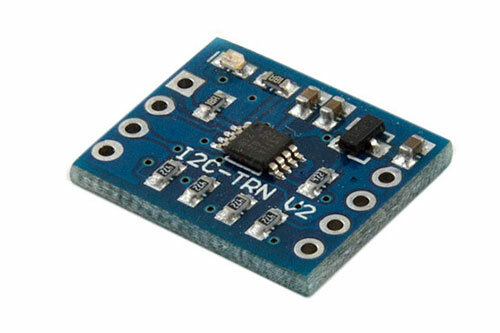 This board features innovations that set it apart from other voltage-level translator module. 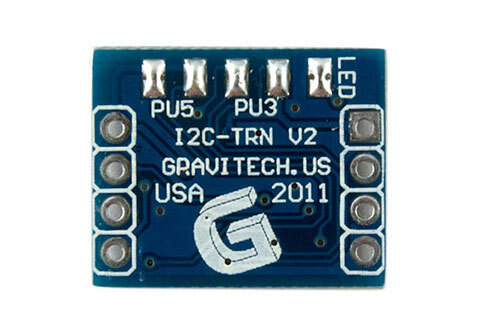 Innovations feature like on-board pull-up resistors, power LED and 3.3 V regulator. 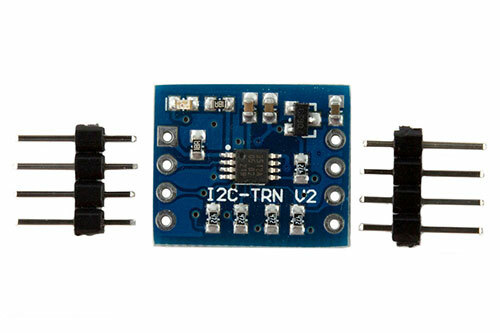 This 3.3V can also use to power up external devices for up to 250mA. The module can be quickly connected directly on to the breadboard. The board is small and compact in size 0.70 x 0.57 inches. The I2C-TRN is designed base on PCA9512A IC. This dual bidirectional I2C voltage-level translator with hot swappable is operational from 5.0V on VCC and 3.3V on VCC2. When no power on VCC and VCC2, the translator switch is off, and a high-impedance state exists between SDAn and SCLn pins. • Come with 4-PIN male headers qty. 2, ready to use (see first picture below).